Meeting rooms may be used by non-profit organizations and for educational purposes during regular library hours. The library’s computer system provides the opportunity to integrate electronic resources from information networks around the world with the library’s other resources. The Internet enables library patrons to access and use information beyond that housed in the library. Persons under the age of 13 must have their parent/guardian with them at all times while using the computers for Internet Access. Monetary donations and memorial gifts are vital assets to our library. We will use all donations to enrich the library and our community. Monetary donations to the Spencer County Public Library are greatly appreciated. Unrestricted gifts of money are gratefully accepted by the library to support programming, collection development, and technology enhancement. Donations will be used where they are most needed. Restricted gifts, gifts-in-kind, and gifts of consequence will be considered and accepted at the discretion of the library board and library director. Donations are tax deductible, and a letter of acknowledgement will be sent to the donor. Gifts are accepted in honor or memory of a person. 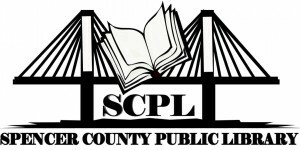 The SCPL Donation Form must be completed and submitted with each request. Monetary donations are preferred so that new materials which are useful to the library and desired by the community may be acquired. Donors must specify the amount they wish to donate. Donors may suggest a topic or subject along with the type of material they wish to be purchased. The library will try to honor topic suggestions, but cannon guarantee the purchase of specific items. Gifts of materials must meet the same criteria as purchased materials for inclusion in the collection and are only accepted with the directors approval. A bookplate will be added to the memory item to honor the donor and the memorialized person, and a card will be added to our memorial file.